When meeting your hair stylist, carry loads of pictures of other brides, celebrities and any other person who’s rocking a hairdo you love. Pictures help prevent misunderstandings between you and your stylist. You should also carry photos of your outfit or décor to give her a clue to your style and theme. It is important to have a clear picture of how you will look on your wedding day. Book a tryout service well in advance of the D-day. During the trial run, your stylist can try out different styles. The two of you can then settle on one. You might want to colour your hair for your wedding. Have you thought about what will happen if you don’t like how the shade looks on you? To add insult to injury, the photos will serve as an everlasting reminder of how much you hated your wedding hair. The best thing to do is not to step too far away from the current colour of your hair. Going with your natural hair colour will also work just fine. Thinking of chopping off your beautiful long locks for a pixie cut just a few weeks to your wedding? You’ll be courting disaster. Don’t make a drastic change to your regular look. Your guests should easily recognize you for who you are. A complete change will also make you look artificial. Are you having your wedding indoors or outdoors? What are the external factors that might come into play during the day? 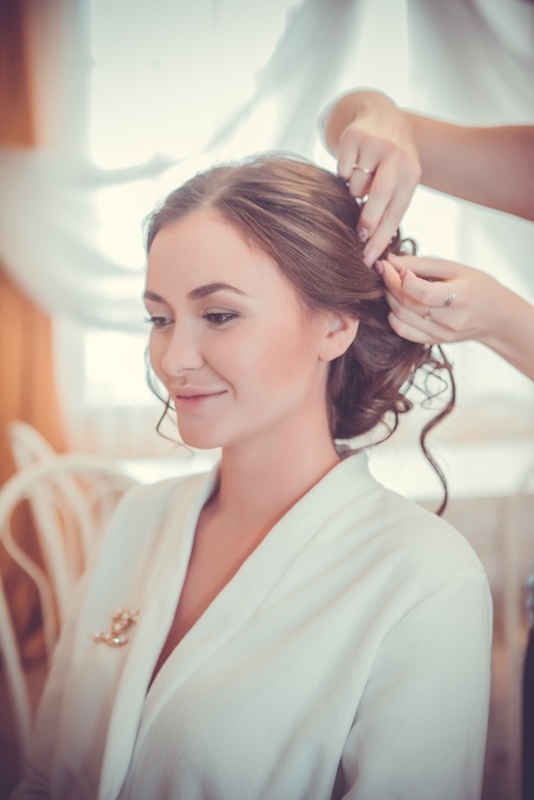 When choosing your perfect hairstyle, you should consider your venue. Some hairstyles won’t go well with your location’s climate. An elaborate updo, for instance, can get destroyed by the wind. Loose hair may also give you a hard time in the wind. You’ll have to invest in plenty of extra hold products. A simple, solid hairstyle like a sleek bob, bun or single braid will be more ideal. Hair accessories such as hair ornaments can overpower your hair. If you have an elaborate hairstyle, wear a simple headpiece and vice versa. You can combine a classic updo with an elegant veil. Wrap long, straight hair elegantly in a chignon and decorate it with strings of pearls or clips. A floral crown compliments wavy hair. Your hair stylist can also advise you on the hair accessories that work best with your hair. Be open to her suggestions. Your wedding hair should be in tandem with your dress. If you’ll change your dress for the evening reception, select a hairdo that will match both dresses. And don’t forget your bridesmaids. Make sure your hairdo works well with what they’re wearing as well.